Though she was only hired to replace bassist Kim Deal this past July, it looks as though the Muffs' Kim Shattuck will no longer be a member of the Pixies. According to her, she was let go from the band. Perhaps taking a page from the Ron Reyes rulebook, Shattuck revealed that she was let go from the iconic alternative rock group via a post on her Facebook page. 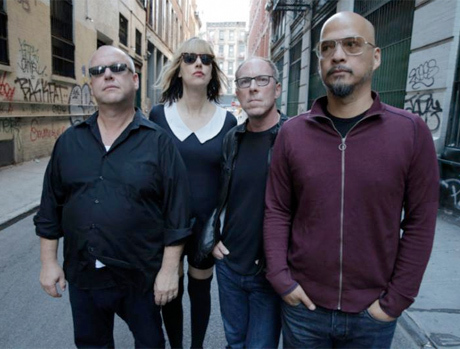 "Super disappointed to learn that my time with the Pixies ended today," she wrote on Friday (November 29). "Amazing experience. Looking forward to focusing my attention back on the Muffs and our upcoming new album. All the best to everyone." Responding to a commenter who pointed out that Shattuck's departure would be a blow to the Pixies, Shattuck replied, "Their loss for sure!" Her Facebook page also changed her employment to read that she "left job at PIXIES." It's unclear who will replace Shattuck, but the group have a lengthy North American tour kicking off in Toronto on January 15. All dates are available below. ​Hear Pete Yorn and Liz Phair Cover Pixies' "Here Comes Your Man"